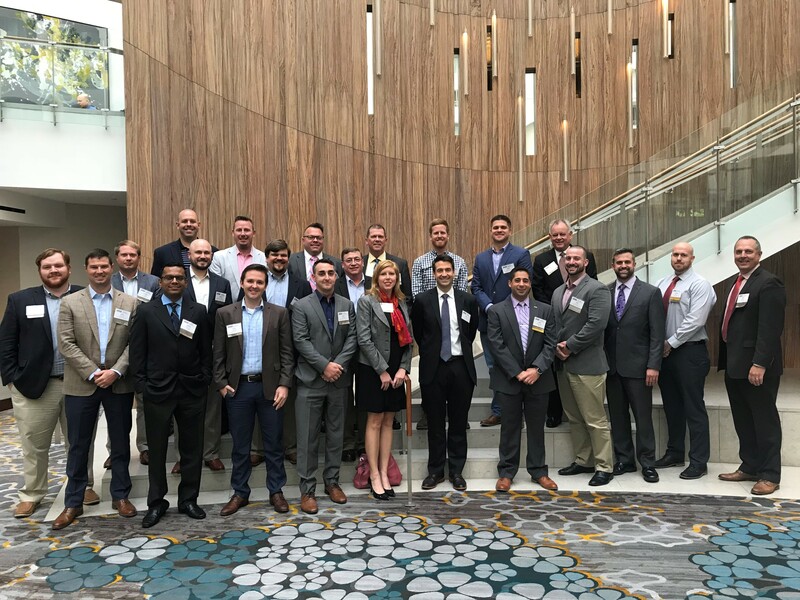 (WASHINGTON) – Twenty four emerging leaders in the transportation design and construction industry participated May 14-16 in an intensive Washington, D.C., “boot camp” introduction to the federal legislative and regulatory processes. 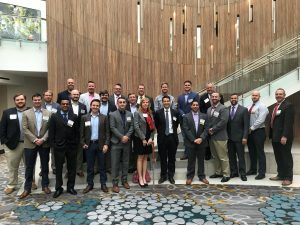 The annual American Road & Transportation Builders Association (ARTBA) Foundation’s Industry Leader Development Program (ILDP) fellows visited Capitol Hill to urge their members of Congress to find a permanent revenue fix for the Highway Trust Fund (HTF) and support full funding of the FAST Act for fiscal year 2019. The event was held in conjunction with the association’s Federal Issues Program and the Transportation Construction Coalition Fly-In. There have been more than 700 graduates from over 200 industry firms since the ILDP’s inception in 1996 when it was known as the Young Executive Development Program. Established in 1985, the ARTBA Foundation is a 501(c) 3 tax-exempt entity designed to “promote research, education and public awareness” about the impacts of transportation investment. It supports an array of initiatives, including educational scholarships, awards, management and education programs, roadway work zone safety training, special economic research and reports, American National Standards Institute-accredited transportation project safety certification, and an exhibition on transportation at the Smithsonian National Museum of American History.